We look forward to treating you in 2019! 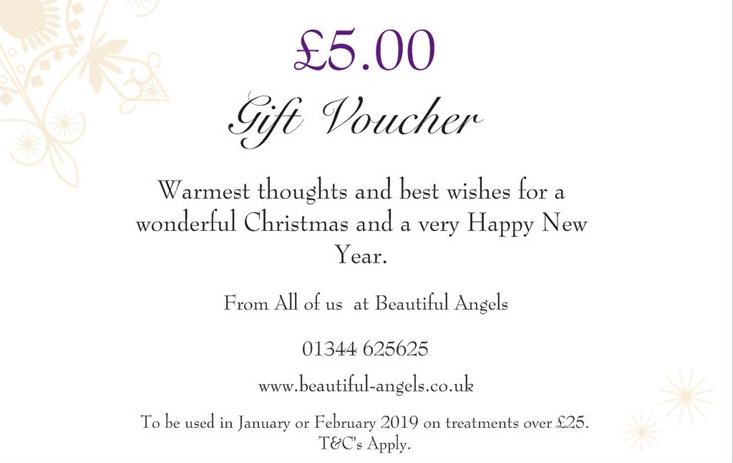 Hopefully you’ve received your £5 Christmas voucher to be used in January or February! Call now to book in on 01344 625625. Post Christmas detoxes are in full swing and the treatment to help you get the best results for your body is LPG Endermologie. 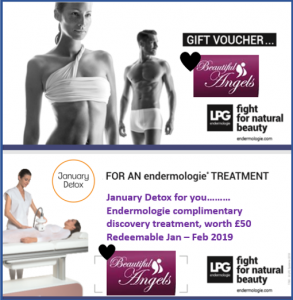 LPG is a world leading, non-surgical slimming and firming treatment for removing stubborn fat, cellulite and loose or sagging skin. It is one of our most popular offerings from our Medi-Spa suite. Using a combination of gentle mechanical massage and suction, it provides a 100% natural, non-invasive, non-aggressive skin stimulation. Cellulite, which affects 90% of women (even the thinnest and most athletic), is the result of both fat storage in adipose cells and of water retention. As the fat cells grow they create an uneven surface to the skin. At the same time, circulation is blocked, and toxins accumulate. That is when cellulite appears, creating the unwelcome “orange peel” effect to the skin. For optimum results we recommend a course of LPG treatment to compliment your healthy eating and exercise routine. 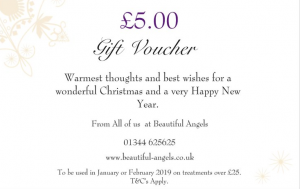 Present this gift voucher to us for your taster LPG treatment. 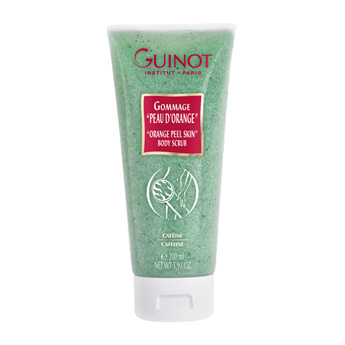 These best selling Guinot body products work perfectly together to improve the skins texture and combat stubborn cellulite. They are the best accompaniment to your post Christmas detox. This exfoliating slimming body gel softens and smoothes the skin, reducing the skin’s ‘orange peel’ appearance. Apply on areas of concern two to three times a week in circular massage movements then rinse. 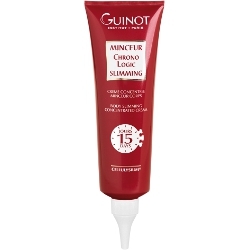 This concentrated body slimming cream penetrates and combats stubborn cellulite. The skin becomes firmer and smoother with visible results after just 15 days of use. - Cellulysium and Bromelain – improves the penetration of active ingredients into the heart of fat cells to aid the slimming process. They eliminate lipids and curb the development of fat. ~Apply morning and evening using circular movements to areas of concern as an initial intensive 15 day course. Remember summer bodies are made in winter, available in salon now!! Struggling to control your eating? Had enough of diets but want to lose weight? Going on another diet to lose weight without first tackling your underlying eating behaviours and motivations to eat simply doesn’t work.Maybe you need a fresh approach for 2019. 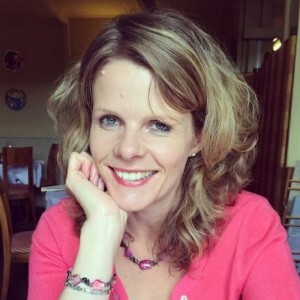 I can help you to change your eating habits with personalised, one-to-one sessions. I’ll help you to improve your relationship with food, eat more healthily and lose weight through flexible eating, not restrictive dieting.I can help you to understand your own eating behaviour and address not just what you eat, but why you eat, for example comfort eating, boredom eating, and eating on autopilot. Receiving ongoing support and maintaining your motivation is the key to success, so I recommend regular sessions, either weekly, fortnightly or monthly. You can choose the number and frequency of your sessions depending on your own needs and preferences. Deep Tissue Sports Massage with Hot StonesShake off last year’s aches and pains once and for all! 1) Hot Stones Massage relaxes and soothes your muscles to melt away tension. 2) Deep Tissue Massage releases muscle spasms, trigger points, and fascial congestion. 3) Sports Massage Therapy mobilises and manipulates your muscles and joints so you can move more freely. If you’ve never tried a Deep Tissue Sports Massage with Hot Stones before, then enjoy a 1 hour treatment for the introductory price of £45 (usually £60) saving you £15 off your first session!